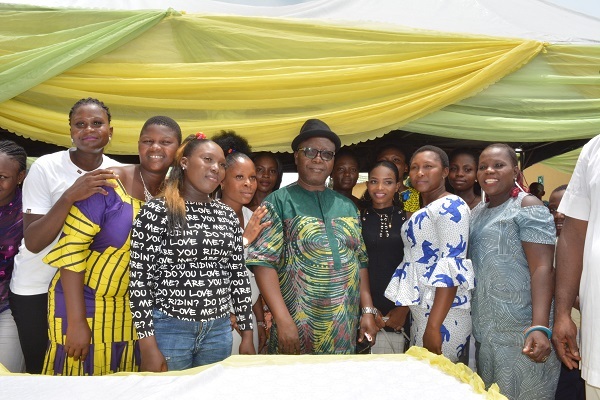 The Managing Director of Delta State Oil Producing Areas Development Commission, DESOPADEC, Olorogun Williams Makinde has empowered 14 teenage girls in Warri and its environs as part of efforts to protect them against maltreatment. Our Senior Correspondent reports that Olorogun Makinde said every human being needs helping hand, hence God “used former Governor of Delta State, Chief James Ibori to uplift me to where I am”, adding that he decided to give back to the society by investing in the lives of the downtrodden in the society. He explained that the teenage girls he empowered were picked from the streets, hawking for their parents, just as he disclosed that he has been paying school fees of the girls, start-up for their parents as well as take care of their basic needs. According to the DESOPADEC MD, five of the girls were trained in fashion/design and the other nine in hairdressing. Fresh Angle International can report that the girls went home with Butterfly Sewing Machine, Butterfly Weaving Machine, Standard Generator, Hair Dryer, Washer, Make-Up Box, Hair Steamer Machine, Roller Stand with Drawers, Mirror and Stretcher. 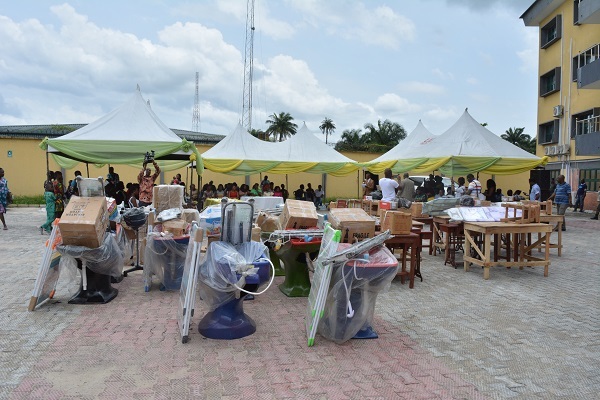 Olorogun Makinde cautioned the girls against selling their starter-packs and admonished them to make judicious use of the items in order to grow their businesses and assist others. The DESOPADEC Boss was flanked by members of the commission’s board such as Hon. Ejaife Odebala, Engr. Victor Wood as well as Chief Favour Izuokumor.